The United Nations (UN) Security Council on Friday agreed to add more individuals and entities of the Democratic People's Republic of Korea (DPRK) to its sanctions list in response to the country's repeated ballistic launches. 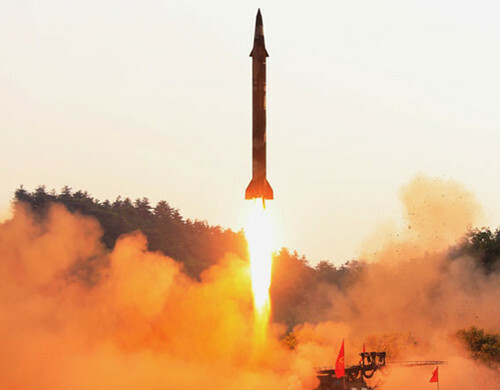 Condemning "in the strongest terms" the nuclear weapon and ballistic missile development in the face of earlier sanction resolutions, the 15-member Council imposed travel bans and asset freezes on 14 individuals, two companies, one bank and the Strategic Rocket Force of the Korean People's Army. The measure urged the DPRK to abandon its nuclear programs and cease all related activities immediately. The Council reiterated the importance of maintaining peace and stability on the Korean Peninsula and in northeast Asia and expressed its commitment to a peaceful, diplomatic and political solution to the situation. Liu Jieyi, China's ambassador to the United Nations, said the adoption of the resolution has sent out a unified message that the international community is against the DPRK's nuclear weapons and ballistic missile development programs. He noted that there is "a critical window of opportunity" for the nuclear issue of the Korean Peninsula to return to the right track of seeking a settlement through dialogue and negotiations. "China calls on all parties to implement fully and comprehensively relevant Security Council resolutions on the DPRK and push for a peaceful settlement to the nuclear issue on the Korean Peninsula through strengthening the efforts on non-proliferation and promotion of peace talks," said Liu. "We hope that all parties concerned will work with China to keep pushing for dialogue and negotiations in order to seek a solution to the problems concerned on the Korean Peninsula within the framework of the Six-Party talks and continue to work actively and constructively towards the goal of early de-nuclearization and lasting peace and security on the Korean Peninsula," he added. The talks he referred to involve China, the DPRK, Japan, South Korea, Russia and the United States. U.S. Ambassador to the United Nations Nikki Haley said the Security Council is sending a clear message to the DPRK, namely "stop firing ballistic missiles, or face the consequences." Two U.S. allies, South Korea and Japan expressed similar position. China has called on relevant parties to maintain restraint and not exacerbate tensions on the Korean Peninsula. China advocates strengthening efforts for peace and dialogue as tensions escalate on the peninsula, Hua said, noting that an emphasis on preventing nuclear proliferation and promoting peace and dialogue should also be strengthened. The DPRK on Saturday condemned the United States again over the latter's launching of an intercontinental ballistic missile (ICBM) interception test. The United States launched a missile from Vandenberg Air Force Base in central California Tuesday afternoon in a test meant to intercept an incoming ICBM over the Pacific, according to an earlier report. A spokesman of the Strategic Force of the Korean People's Army told the official Korean Central News Agency that the firing of interceptor missiles in the meantime "is just a serious military provocation that brings to light the U.S. imperialists' wild ambition for igniting a nuclear war." He also referred to the U.S. deployment of the USS Ronald Reagan nuclear carrier to join the strike group of nuclear aircraft carrier USS Carl Vinson, which is already in the drill, and the dispatch of two B-1B nuclear bombers to South Korea to stage a bomb-dropping drill. A spokesman of the Korea Asia-Pacific Peace Committee released a statement Thursday to condemn the U.S. ICBM interception test, saying it is a "risky act" against the DPRK and fuels tension on the Korean Peninsula.